What is Ballistic Protective Textiles? 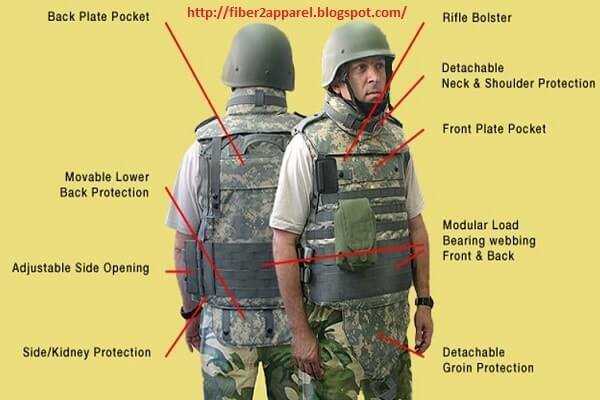 Ballistic protection is one type of protective textiles or clothing. This kind of clothing aims at protecting the individuals from the steel fragments and bullets from exploding ammunition and hand-held weapons. The root idea of spreading the load over a massive area is still applied. It is so good to dissipate the energy of impact by breaking and deformation the protective material. A ballistic protective method is a complicated phenomenon involving the tensile properties, transverse velocity propagation, and the fine structure. The use of ultra-high modulus polyethylene (UHMPE) fibers produced by gel spinning has been started in the manufacturing of ballistic protective fabrics in recent years. FR-blend underwear next to the skin. The mid-weight layer of long sleeved bottom and top of Nomex or fire resistant polyester fleece. The lightweight outer layer of fire-resistant wind-resistant nylon or cotton or Lycra blend. For extreme weather, an outer layer of shell pants and jacket of fire-resistant para-aramid or rayon or nylon outer shell, PTFE membrane, and Nomex knit jersey backing. A base layer of a long-sleeved top and drawers composed of Nomex or spandex mesh. Duty service uniform layer with fire resistant options for air and mounted personnel. Intermediate weather outer layer of fleece pants, jacket, and vest of the cotton or nylon or Lycra blend. For the clothing of the armed forces and naval personnel, lightweight fire retardant fabric is too much needy. It is especially for that person who engaged in engineering works and working in the heated condition. Besides, their apparel or textiles should be susceptible to protect them from cold. This type of clothing should have buoyant characteristics. Some clothing of such property is manufactured on a commercial basis. Canadian forces are using such type of clothing. 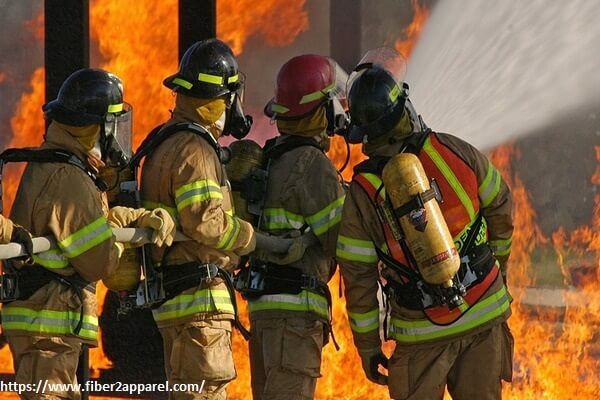 This type of clothing is made of Nomex fiber. 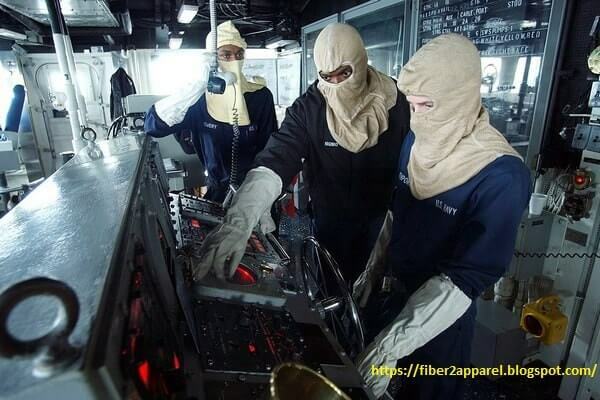 Head hoods and hand gloves made of Kevlar fiber used by the New Zealand naval forces. Various kinds of flame retardant clothing are manufactured and used by the naval and armed forces besides those clothing. FR clothing is designed to fend ignition and self-extinguish when ignited. It should also extinguish as soon as the glimpse source is removed. To obtain fire protective function in textiles, normally thermostable or fire retardant agent treated fibers are used. In fabrics, flame resistance can be developed by following two ways. One is by using inherent flame resistant materials and fibers. Another one is by giving FR treatments to fibers and fabrics.